Creation Date Friday, 07 November 2014. Bacteriophages or phages are collectively known host-specific viruses that infect and replicate within the bacterial cells. The emergence of this virus has been a focus of research over decades ago and eventually showed implicit advantages in improving water treatment systems. The host specificity of these viruses offers a distinct yet revolutionary technique for addressing strong resistance to the pathogenic bacteria that caused operational problems during the treatment. In the experiment, Goel has targeted problematic filamentous bacteria with phages isolated from the sewage. Apparently, after the water has been completely treated, the bacteria continuously float on the surface of the water instead of settling on the bottom. 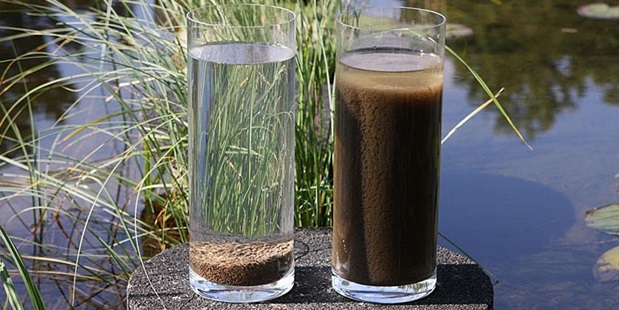 This condition requires a lot of chlorine to kill these bacteria and reduce sludge volume on the water’s surface. Aside from the unimaginable impact of bacteriophages in environmental wastewater processes, Goel is also optimistic that the success of phage therapy applications in water treatments will let bacteriophages exhibit relative benefits in practical drug delivery and external bacterial infections treatment in the health field. Groundbreaking studies such as this phage therapy application offers another alternative solution in various natural settings like wastewater treatment plant. Aqua Solutions recognizes the impact of real life applications and provides advanced lab water systems like Type I DI Systems for use on pre-treated water engineered for high capacity water applications. To learn more about our comprehensive line of Type I DI Systems, visit www.aquaa.com/type-i-laboratory-water-purification-systems-for-pre-treated-water.